Puffadder shyshark egg, with live embryo. Faine, and Pippa found this egg case replete with embryo trapped next to an urchin in the intertidal zone. 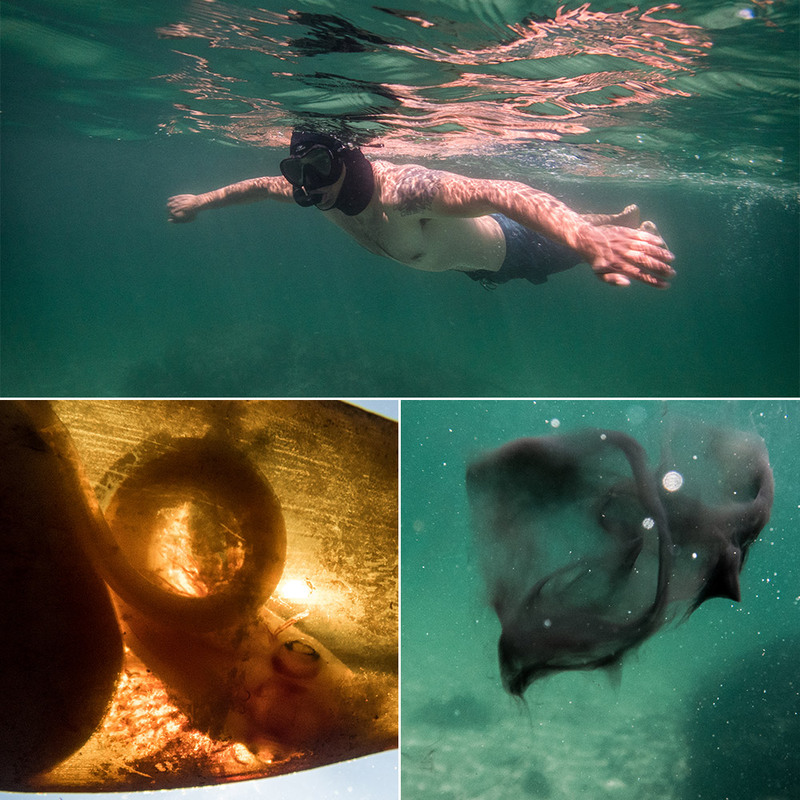 They retrieved it in a bottle and were ecstatic to discover the embryo was still alive. As I was told by my very knowledgeable guides, that they (shark embryos) often enter a state of suspended animation to escape detection. I wonder how it feels to be this delicate cluster of cells, developing awareness of the precarious world it is about to enter. Cephalopod, possibly octopus ink suspended in water. Telling of the split second that a dramatic little event took place between predator and prey. 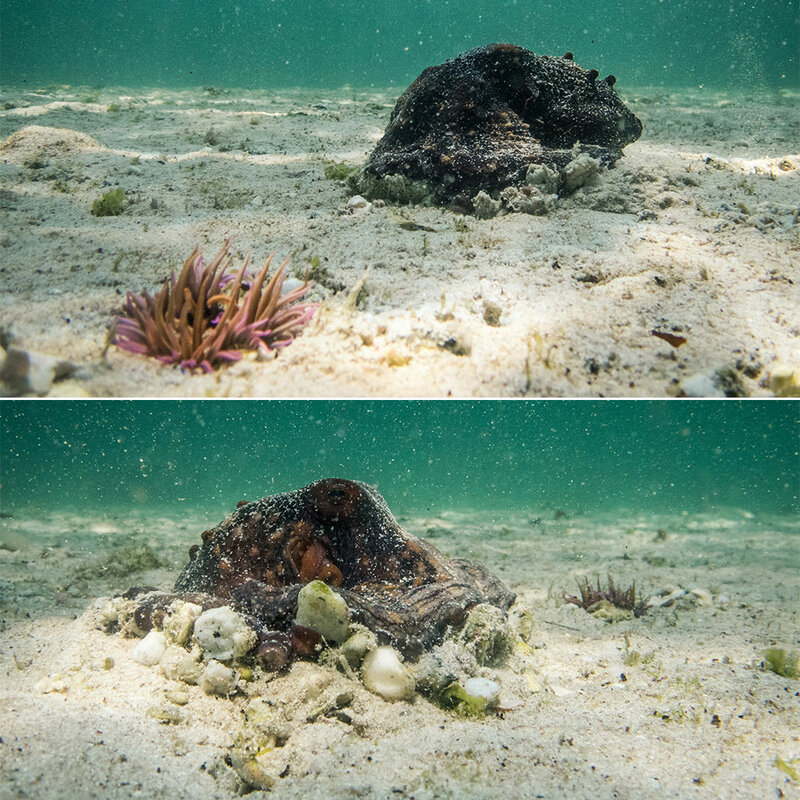 Octopus trying to look like a rock on the sandy sea floor, later Pippa Ehrlich explained that octopuses generally avoid the sandy sea floor and favour more textured terrain to camouflage their movements. 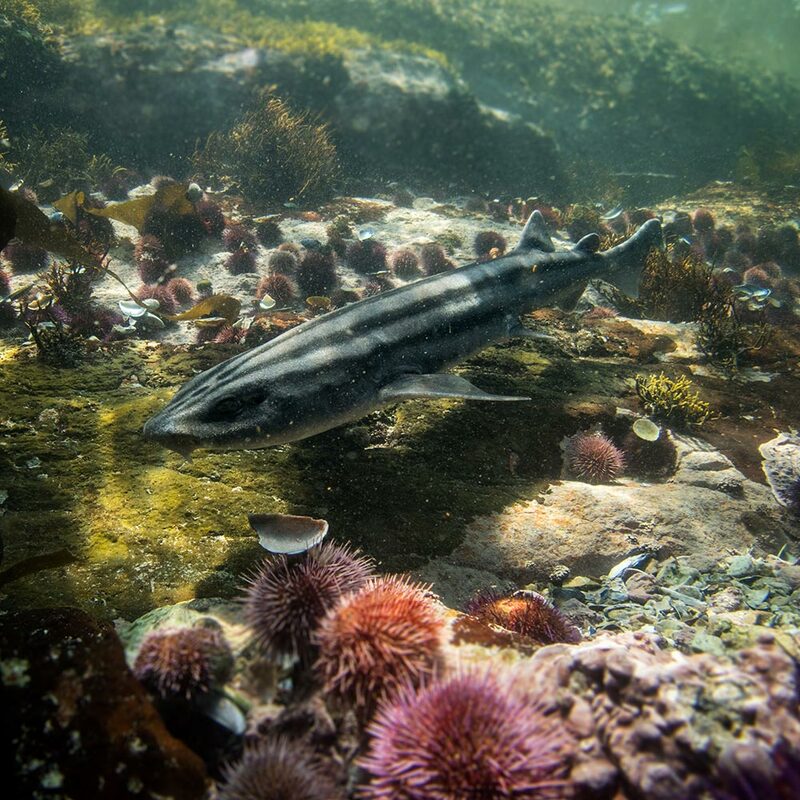 A very graceful Striped Shyshark, about 1.5-1.7 meters long, causing, just before it disappears into a rock vestibule behind a curtain of kelp.